Hollywood is a land built on as many dreams deferred as it is dreams that succeeded. I’ve always been drawn to the actors who lived sad and lonely lives, often dying penniless like Veronica Lake, Tom Conway, and Maggie McNamara. Strangely, my post on McNamara remains a top draw on the site. Too often these people are left as nothing more than Wikipedia entries, words on a screen leaving us to wonder “what happened to them.” I can’t say this series – if it continues – will expose any truths, but I hope it will allow you to discover someone you might not have known anything about. I can’t believe it’s been fifty years since Bobby Driscoll died. I never knew him, nor was I alive when he was a popular star. I grew up knowing Driscoll as the cocky voice of Peter Pan in the 1953 Disney interpretation of J.M. Barrie’s children’s tale. The Walt Disney Company is best known now for its television child stars, but before the arrival of television the studio wasn’t well-regarded for its child actors. But despite being defined as a Disney kid – Walt Disney himself referred to him as “the living embodiment of his own youth” – his life took a decidedly dark turn, ending with him dying sad and alone in a run-down New York tenement. Driscoll was born Robert Cletus Driscoll in Cedar Rapids, Iowa. After his family moved to Los Angeles he got an audition at MGM. His first role was in the 1943 Margaret O’Brien film Lost Angel. His freckled face and inquisitive nature made him perfect for the film about a young girl who is separated from the outside world to cultivate her intellect. (I’m starting to think O’Brien is bad luck considering she worked with both Driscoll and the notorious Robert Blake.) Though Driscoll’s appearance in that film was just under two minutes it was enough to secure him further roles in the likes of The Fighting Sullivans (1944), So Goes My Love, and Alan Ladd’s O.S.S. (both 1946). In 1945 Driscoll was placed under exclusive contract with Walt Disney, alongside his Song of the South costar Luana Patten. Patten and Driscoll became known as the “Sweetheart Team” and would appear in two additional films after Song of the South, 1948’s So Dear to My Heart and Melody Time. Outside of being a hot commodity for Disney, Driscoll also found himself loaned out. He was loaned out to Disney’s companion distributor RKO for the 1948 Eddie Cantor musical If You Knew Susie. But his most memorable loan-out was in the 1948 noir The Window, based on Cornell Woolrich’s short story The Boy Cried Murder. Despite being delayed a year from filming, the movie was a hit with many citing Driscoll as a bright new child star and earning him a Juvenile Oscar in 1950. But regardless of the good notices and future loan-outs to films like When I Grow Up (1951) and The Happy Time (1952), Driscoll was never able to shake off being the Disney kid. It didn’t help that his exclusive contracts were long-term and thus limited his ability to seek outside roles on his own. In the ’50s he starred as the lead in two of Disney’s biggest hits; he played Jim Hawkins in the 1950 adaptation of Robert Louis Stevenson’s Treasure Island and the aforementioned voice of Peter Pan. The studio had invested in Driscoll, but like other child stars with characters they dreamed of playing, politics got in the way. Driscoll had been situated to star as Tom Sawyer in a Disney adaptation but the rights couldn’t be secured from producer David O. Selznick who owned them. There were also plans to put him in a Robin Hood film, but because Driscoll had issues obtaining a British work permit during Treasure Island the project was abandoned. It’s hard not to attribute some responsibility for Driscoll’s demise to Walt Disney himself. Though Driscoll was Disney’s favorite live action child star Disney didn’t think he’d last long playing leading men, instead thinking he was better suited to playing bullies. In 1953, just weeks after Peter Pan was released, Driscoll’s extended contract was terminated. The reason: Driscoll’s “severe” acne was just too much trouble to cover up. This simplistic, and somewhat callous, explanation for dumping him has always felt like an excuse and a litany of disturbing conspiracy theories have cropped up in its wake (none of which I’ll disclose here). Regardless, it’s hard not to see Driscoll like a dog – cute and wanted as a puppy and then dumped at the pound when he grew up. Disney himself never spoke of Driscoll’s life after he left Disney – at least not as far as my research extended. Ironically, Disney dumped him yet other studios still saw him as nothing more than a Disney actor. He jumped quickly into the burgeoning world of television, as well as providing his voice for various radio programs. He struggled to acclimate to being a normal kid, returning to high school where he was bullied. Around the age of 16 he started dabbling with drugs. He said he didn’t feel accepted, “as one apart.” At 19 he was arrested for possession of marijuana, a charge Hedda Hopper thought “could cost this fine lad and good actor his career.” No offense to Hedda, but it was obvious she didn’t follow Driscoll’s career because by this point he had less than a handful of projects. That same year he eloped with a girlfriend, Marilyn Jean Rush. The two had three children but divorced four years later. Driscoll made a last-ditch effort to secure film work, dropping the name “Bobby” in favor of the more adult sounding Robert Driscoll. He appeared in the 1955 film The Scarlet Coat starring Cornel Wilde and the 1958 Connie Stevens feature The Party Crashers, but Driscoll was still unable to avoid trouble. He was charged with disturbing the peace and assault with a deadly weapon around this time, though the charges were later dropped. By 1962 he was forced to enter drug rehab. By the time he was released there was no longer work available. He moved to New York in 1965 with aspirations of starting a Broadway career but failed. He soon found himself drawn to Andy Warhol’s coterie of strangers known as The Factory and its said the art he created there was fantastic. Some of it was displayed at the Santa Monica Museum of Art. For reasons unknown Driscoll left The Factory around 1967. Penniless with no aspirations he was lost in the underground world of New York’s homeless. On March 30th, 1968, just three weeks after turning 31 he was discovered by two boys, dead in a deserted East Village tenement. It seemed he’d been dead for awhile. The cause of death was heart failure and severe hardening of the arteries due to his hard living lifestyle. As if Driscoll’s end couldn’t have been worse, there was no one available to identify his body. Pictures were passed around the neighborhood but no one recognized the sad man and he was buried in an unmarked grave in New York’s Potter’s Field. Nineteen months later his mother put in a request at Disney to locate her son, as a means of helping him reunite with his dying father. Unfortunately his fingerprints were matched in New York and his family received the horrific notice about his death and burial. A cenotaph for Bobby Driscoll can be found at Eternal Hills Memorial Park in Oceanside despite his remains being forever entombed on Hart Island in New York. When Song of the South was rereleased – back when it was rereleased – 1971 reporters were curious what happened to its stars. Only then was the sad life and death of Bobby Driscoll ultimately disclosed. Bobby Driscoll was understandably bitter about how his life turned out. He’s quoted as saying, “I was carried on a silver platter – and then dumped into the garbage.” I can’t explain why Driscoll’s life has always stuck with me. Maybe because he died so sad and destroyed, with the world forgetting him so completely he could waste away in a gross tenement for weeks. Maybe it’s because it’s a story that shows how callous and businesslike Walt Disney could truly be. Or maybe its because his story lays the foundation for so many broken child stars who never made it big. It’s unclear what happened to Driscoll’s ex-wife Marilyn or his three children, but it’d be amazing to hear their stories – however sad they might be – before there aren’t any left. 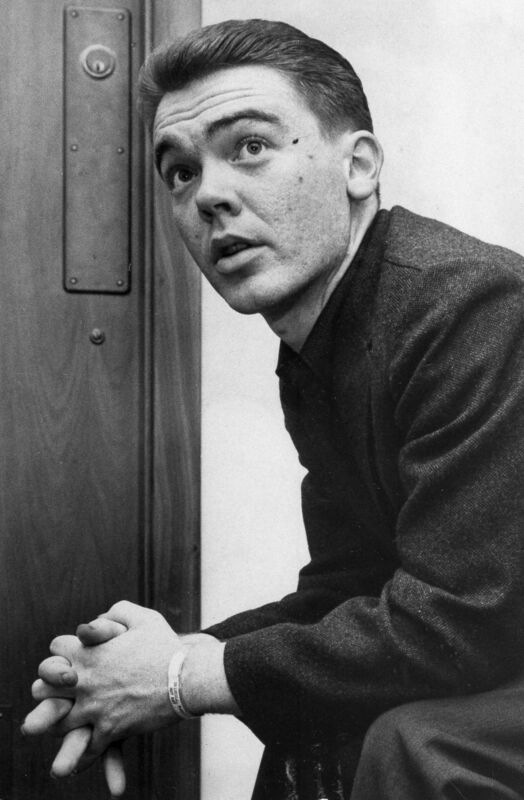 For me, Bobby Driscoll is fascinating, warts and all. There’s allegedly a documentary being made about his life and hopefully it can lift the veil of mystery that surrounds the short and tragic life of Bobby Driscoll. Enjoy this series? Let me know and feel free to give me other stars you’d like to see discussed. Thank you for a well written and informative article. Film history Is my hobby and Ive learned something today. A very poorly written article, simply a careless rehashing of the Wikipedia page. Your piece lacked true empathy, only lazily written pity. “Pictures of the sad man were circulated”, “hard not to think of him as a dog” etc. Hope if you write anything else you’ll actually do some research and adopt a less condescending and more sophisticated tone. I’m sorry you didn’t enjoy the piece. Since this site is a labor of love I merely wanted to share my own thoughts on Bobby’s life and research, both in book and online form, is limited. I’m all for recommendations if you have any! I also think empathy is in the eye of the beholder because I did write this out of a pure interest and love for Bobby as an actor, so I have to think you thought it was condescending without merit. But to each their own. Thanks for reading! Thank you for sharing this story. I never followed this actors career. However, after reading this article I had a thought of what Bobby Driscoll lived what might he have become in the world of motion pictures. He seemed like a very talented young actor. Bobby Driscoll is my Aunt Aaren’s dad. His three kids are still around as well as his grandkids.